Saturday, June 29, 2:00pm - 6:00pm. Meet at 1:30, leave at 2:00pm sharp. Notes: Meet on west side of library. 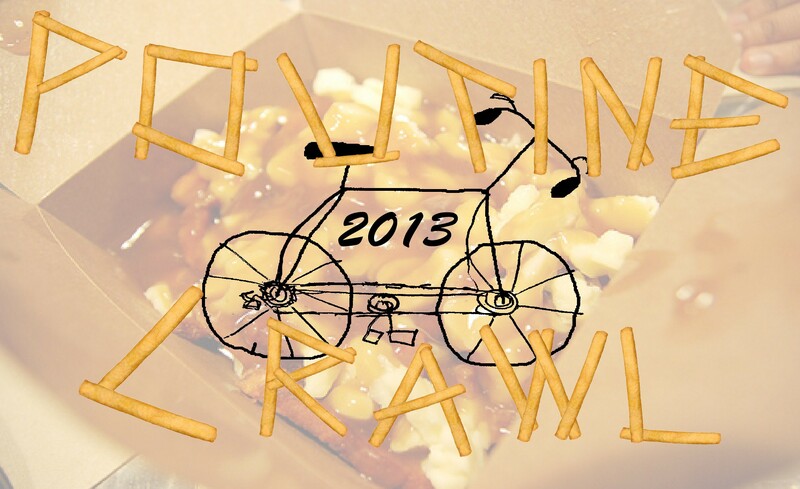 We will be travelling to 3 different locations, by bike, to sample poutine (our hearts will thank us as they won't be full portions) and have a grand old time riding around the inner city. Tickets are $20 (PayPal or cash at beginning of ride) and will include the poutine (drinks and other snacks will be extra). The ride will start at Central Memorial park (west side of library) at 2:00pm sharp and the locations we will visit are: Hose & Hound (Inglewood), Oak Tree Tavern (Kensington) and Craft Beer Market (Beltline). Sorry, registration has been closed for this event. If you want to join the ride you still can and if a spot opens up it is first come, first serve but you may not be joining the poutine sampling (unless people want to share ;-D) but can join the ride and good times.